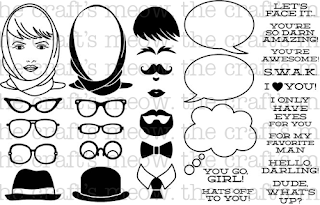 Welcome to The Craft's Meow June Blog Hop, this month the theme is Masculine. 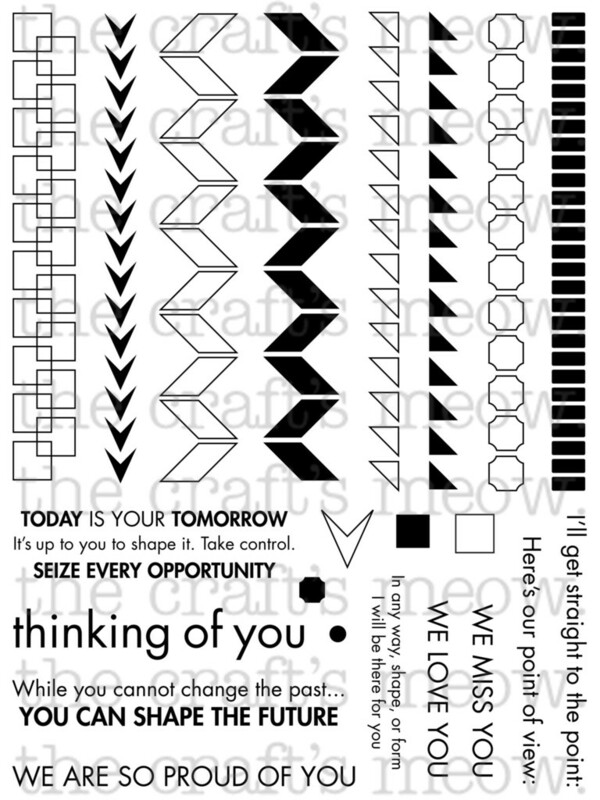 I used two great sets from The Craft's Meow - Let's Face It and Geometric Foundations. I love stamping my backgrounds so I used some of the glasses stamps from Let's Face It to make a patterned background. I used Memento Bahama Blue, Tangelo and Impress Lemon Yellow Inks. The sentiment and speech bubble are also from Let's Face It. The square pattern is from Geometric Foundations. I also added some Mandarin Twine from SRM Stickers. Cardstock is from Core Essentials Brights from Core'dinations. Next up on the hop is Deborah Nolan. Don't forget there's a prize (a stamp set of your choice) up for grabs for one lucky commenter, so to be in with a chance leave a comment on each of the DT's blogs and on The Craft's Meow store blog. You have until Sunday June 9th 11:59EST to leave your comment. Enjoy the rest of the hop! Here are the stamp sets from The Craft's Meow that I used on my card today. What a great card! I LOVE it! Very creative! 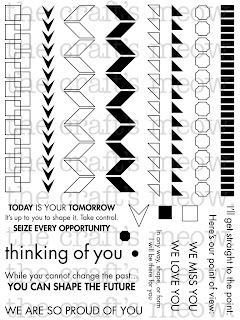 Love your stamping, wonderful sentiment too!! Super cute! Love the repeated glasses and colors. Hi Clare, your card is so much fun, I like it!! The lets face it stamp set is such fun. Great card. Super cute card! Love all the different colors of the glasses. Super fun use of these sets Claire! I love those glasses! Really great job on placement of those background stamps! Mine would NEVER come out that even. Fabulous! I LOVE this card! LOVE IT! Awesome! 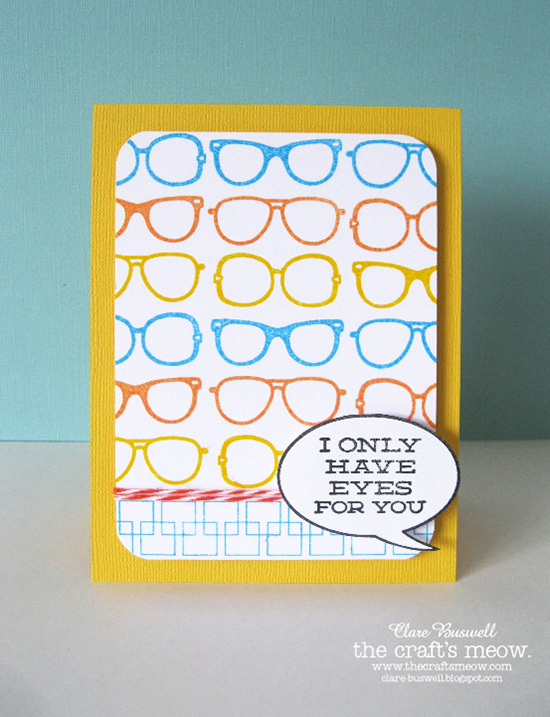 What a cute card, I love the eyeglasses! Cute card. Love the sentiment you used. Very nice...love the repeated eyeglasses background! 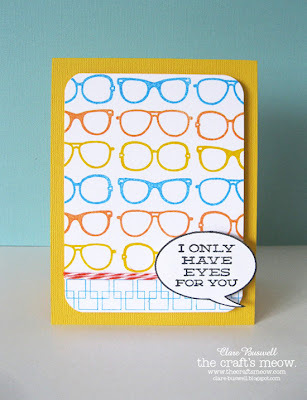 Colorful and full of fun - love your stamped background and the geometric design. Great job! The way I SEE it, this is a super fun card! WOW, Cool spectacles and geometric background! 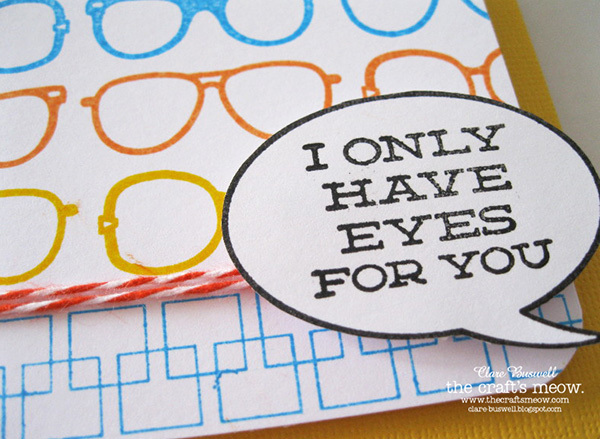 what a fun and trendy card! Love the repeated images! Love it! Love the stamping you did on this card. The ink colors you chose are great and I love the popped sentiment. Well done. What a fun card! 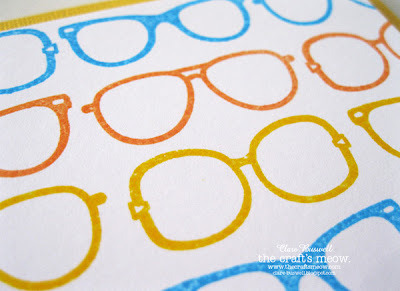 Love all the glasses and the fun colors! Super fun card Clare! I love all of the different colored glasses! what a fun card background! Love this! Cute design. I like the geometrics.